According to the Energy Rating Website Australian hot water systems could account for as much as 25% of the total household energy consumption. A Sanden heat pump only uses 22% of the energy required by an electric storage system hot water system putting it miles ahead in energy and running-cost savings compared to inefficient electric and gas hot water systems. How does the Sanden heat pump work? The Sanden “Eco®” Hot Water Heat Pump System operates like a refrigerator in reverse. It contains a fan that forces air through an evaporator that contains a refrigerant. The heat in the air passes through the evaporator and is absorbed by a natural refrigerant, R744 (CO2), which is ozone friendly and does not contribute to global warming. The warm gaseous refrigerant is circulated in the system via a compressor. As it passes through the compressor, its pressure rises, as does its temperature. This hot refrigerant then passes through a heat exchanger to heat the water, which is finally pumped to the storage tank. Should I replace my old electric storage hot water system with a Sanden? 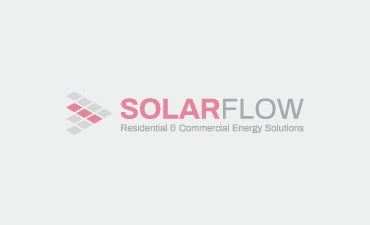 Here at Solar Flow we are constantly getting asked about the merits of removing old inefficient gravity-fed or electric storage hot water systems and installing a Sanden heat pump and compressor. With over 4 years of history installing heat pumps in Melbourne we can categorically say that decommissioning your old electric hot water unit and installing Australia’s most efficient heat pump, the Sanden, will save homeowners in the vicinity of $700-$1,000 per year. How much does a Sanden heat pump cost in Melbourne? The price of a Sanden heat pump supplied and installed in Melbourne to replace an old electric hot water system being around the $3,000 mark. This represents a payback period of under 5 years in most scenarios. The Sanden heat pump also offers flexibility with operation times and can be set to run on daylight hours to take advantage of free energy from a solar electricity system or on a cheaper off-peak tariff at night. Can I run my Sanden heat pump at night in Melbourne? Yes! The Sanden heat pump offers flexibility with operation times. It runs perfectly on an off-peak electricity tariff at night time as it has an operating temperature down to -10 degrees C. If you have a solar electricity system on a standard feed-in tariff you can set your Sanden heat pump up to run on daylight hours. And if you have excess electricity your export to the grid your hot water will be virtually free when you run it on a daytime heating cycle! So if you are contemplating replacing an old electric hot water system with a highly efficient Sanden heat pump contact us now on 1300 931424 to book a free energy analysis of your current system. We will also determine if you are eligible for the STC and VEEC rebate programs run by the Federal and State governments. These rebates could be available to some Melbourne households when replacing an old electric hot water system with a new Sanden Eco hot water heat pump.